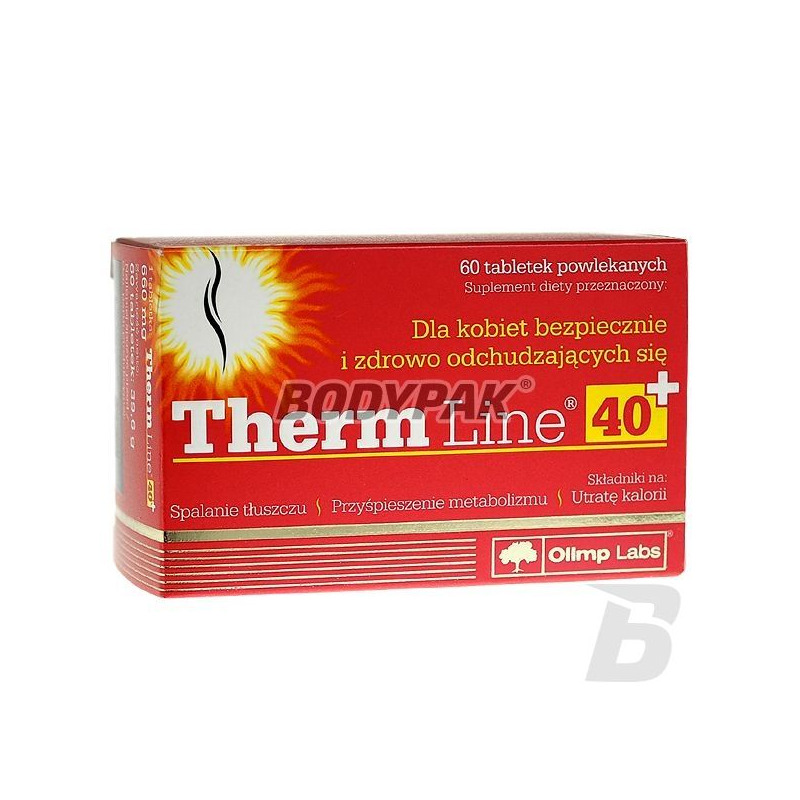 Fat LossOlimp Therm Line 40+ 60 tabl. 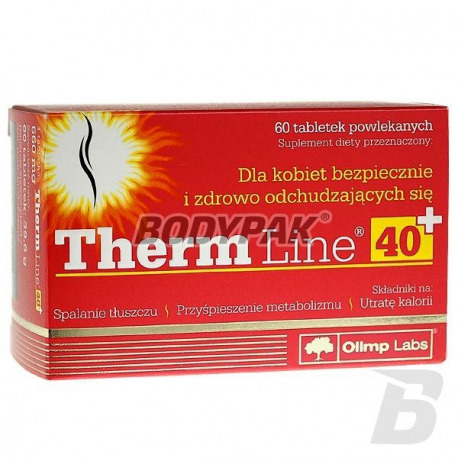 Olimp Therm Line 40+ is a supplement in the form convenient to swallow tablets designed for people over 40 years old. In its composition Therm Line 40+ contains such ingredients as extract of cayenne pepper contains capsaicin, green tea extract, which increases metabolism, helps to maintain and control body weight and reduce body fat, ginger, which helps maintain a healthy cardiovascular system and chromium, which is involved in maintaining normal blood glucose levels. The preparation also contains extracts of guarana and Sinetrol containing caffeine and an extract of green coffee. All this makes using Olimp Therm Line 40+ can get rid of excess fat. Myślałem że w tym wieku nie będzie już dla mnie ratunku, a tu jednak! Zabrałem się za siebie, ograniczyłem jedzenie, dodałem aktywność fizyczną w ciągu dnia i kupiłem ten spalacz - to połączenie zadziałało wręcz idealnie! Kilogram za kilogramem w dół, a czuje się bardzo dobrze - jak nigdy dotąd! !